PIPE & DRAPE STANDS 8 FEET TALL. 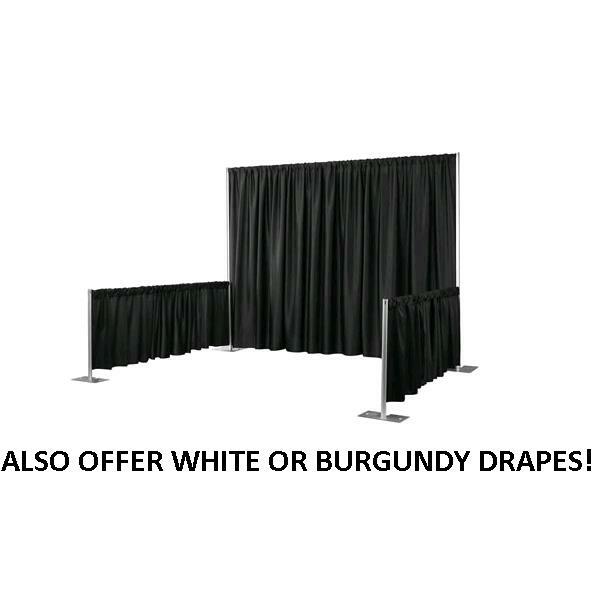 WE CHARGE $3 PER LINEAR FOOT OF PIPE & DRAPE IF YOU ARE TO PICKUP AND THEN RETURN TO OUR STORE. * Please call us for any questions on our pipe drape not installed per ft rentals in Tampa Bay, St. Petersburg, Largo FL, Clearwater.